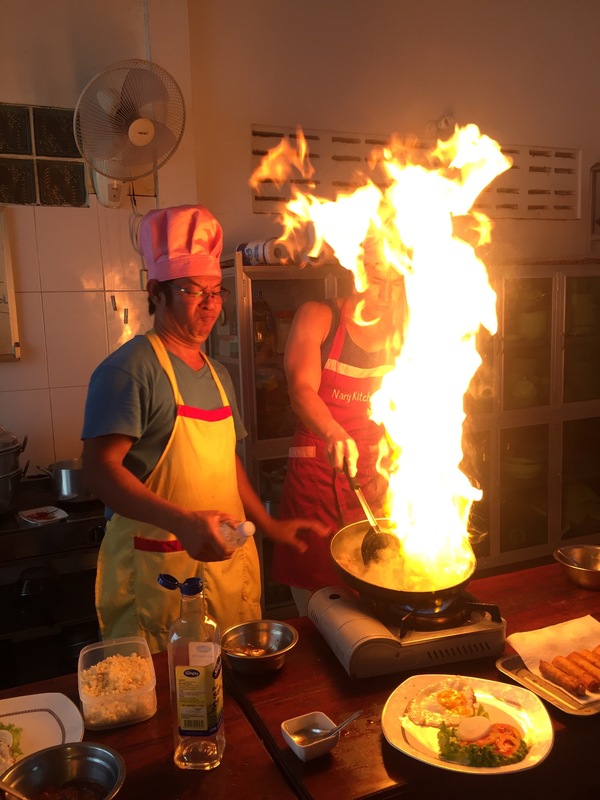 We took a cooking class in traditional Cambodian cuisine. Toward the end, each person got to cook a dish called Lok Lak; flash-fried meat or vegetables in a homemade sauce. The chef warned us ahead of time that “there might be a little bit of fire” in the pan, but that it was nothing to worry about.